The SPE CS 350 Range of Floorsaws incorporate heavy duty monoque fabricated chasis, jig welded for accuracy and strength with a blade guard capacity of 350mm. 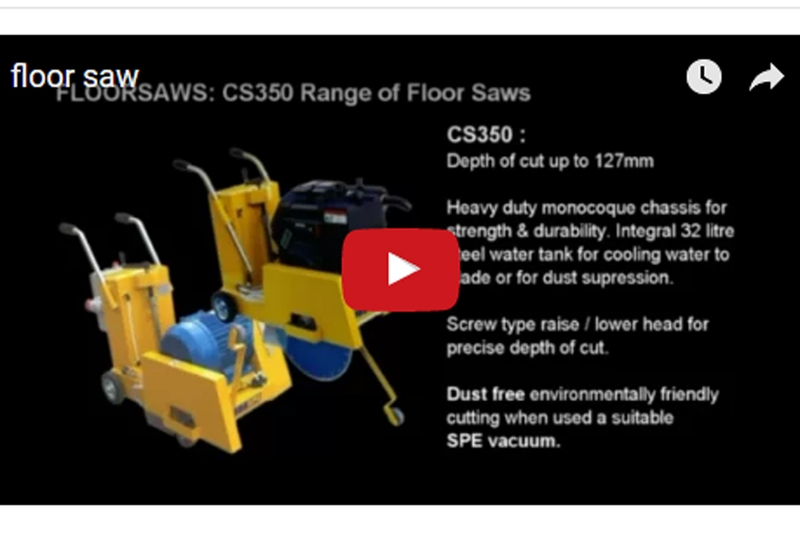 The CS 350 range of floorsaws are compact, versatile and easily transported making them ideal for highway repair gangs, flooring contractors and the rental industry. Both petrol and three phase electric versions of the CS 350 are available.